I started off by cutting out my ghost shape, you can find my ghost template here. 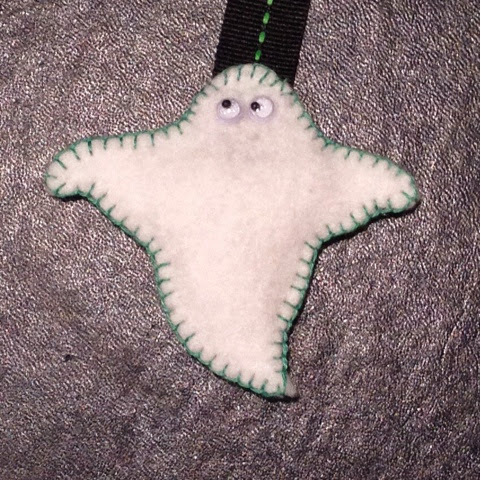 Unfortunately I didn't have any white embroidery floss so I used a colour which co-ordinated with my ribbon and I'm actually really pleased with the result, it's as though he has a 'aura' ! The method is simple, just sew around the edges leaving the head until last, stuff with a little stuffing and then sew in the ribbon. 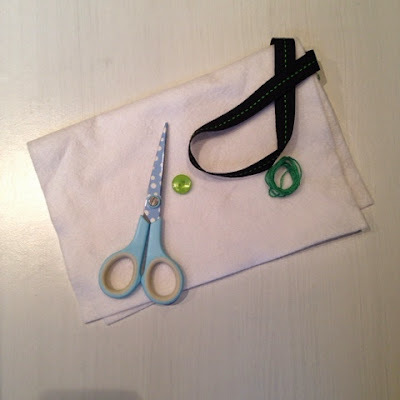 Sew the button onto the other end of the ribbon, this should catch the pages at the bottom of your book and stop your bookmark from slipping out. This is so cute! 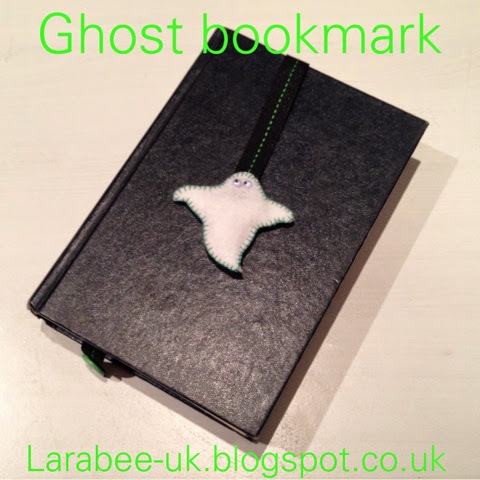 I love your little ghost bookmark, I'm sure the swap recipient loved it too. 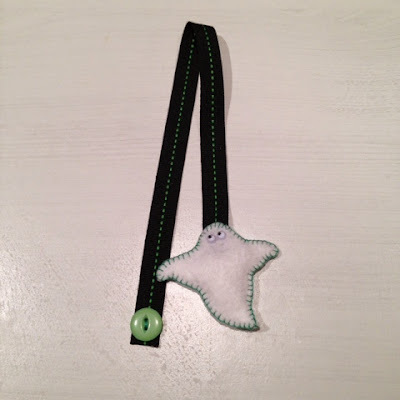 Felt is great fun to make things with, one of it favourite craft materials.